Archery equipment is a testament to modern engineering. Today’s technology helps archers shoot farther, faster and more accurately than ever before. Despite all the advances, bows do require a little TLC and maintenance and they don’t last forever. If you’re a bowhunter, you need a great local bow shop to both help you set up your bow and keep it in tune. My local shop is Cabin Fever Sporting Goods in Victoria, Minnesota. The owner Jeff Byrne has cultivated a strong following by providing great service. HuntTested had the chance to ask Jeff a few questions about what you need to know about bow maintenance and lifespan. 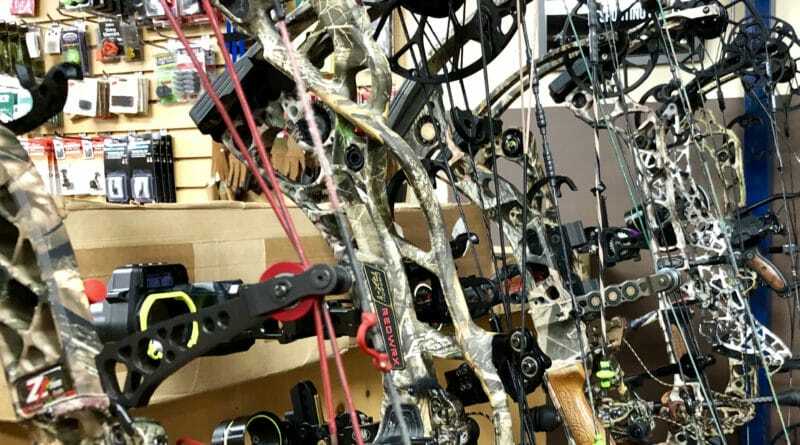 HuntTested: Jeff, what do archers need to know about maintaining their archery gear? Jeff Byrne: Every time I shoot my bow, I hold grip and pound on the riser. If anything is loose, you can hear the vibration and tighten anything that needs fixing. 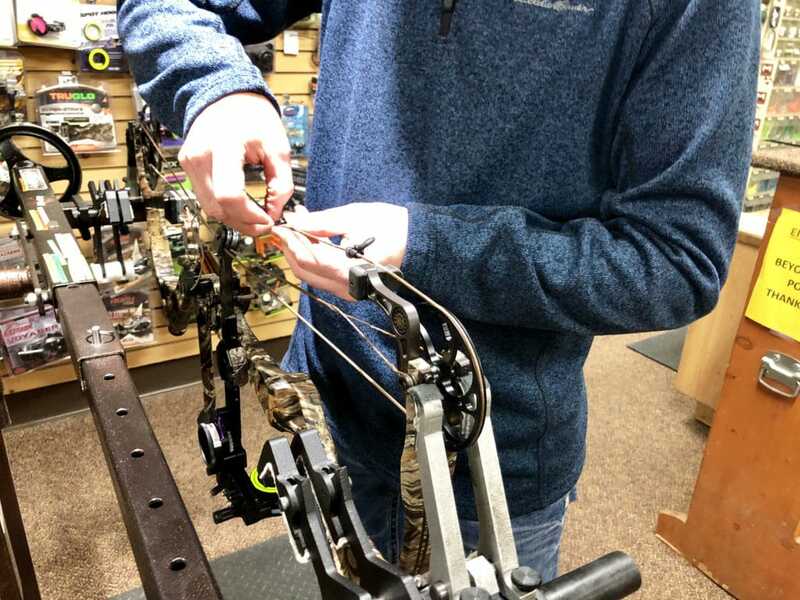 You or your bow technician should always look over your bow both, as you begin to shoot for the season, and then three weeks before your first hunt of the season to make sure nothing has changed. This gives you ample time if work needs to be done. HuntTested: What about Strings and Cables? Any recommended maintenance or replacement intervals? Jeff Byrne: Strings and cables are like tires on a car. If you don’t rotate your tires, or if you don’t wax your strings and cables, they will need replacing sooner than later. If you do not shoot a lot, your bowstrings might last five years. I also have customers who shoot all year long and they replace their strings and cables every two years. Also, the quality of the string will make a big difference. Generally, if you use higher quality strings and cables they will last longer. Pro Tip: If the bowstring looks dry or fuzzy, simply waxing the string will usually solve the issue. However, if any bowstring strands look frayed or its serving has separated, you might need a new string. See your local bow shop! Jeff Byrne, the owner of Cabin Fever Sporting Goods, using a bow press to help him tie in a peep sight on a Matthews Bow. HuntTested: How about the lifespan of a bow, how long can they last and when should you consider a replacement? Jeff Byrne: Well-maintained bows can last many years. I have seen people shoot bows that are 30 years old, (with new strings of course). 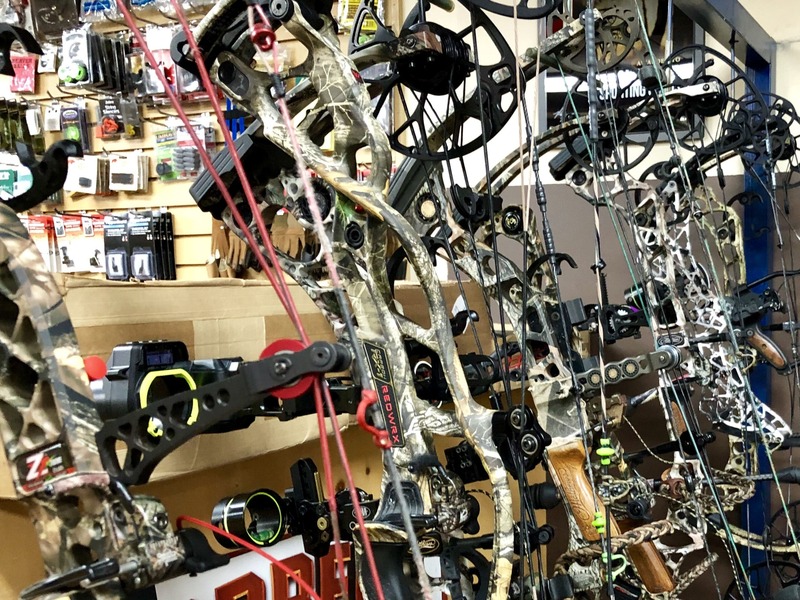 As to when to consider purchasing a new bow, it really comes down to the individual. This first consideration is can they afford a new bow? Often when you purchase a new bow, it makes sense to replace your rest, sights, quiver and arrows at the same time. This can cost $1,200 – over $2,000 depending on your choices. If you want more speed, a smoother draw, a quieter bow, or less vibration and overall performance, these are all good indicators that it might be time. Also, new technology in the bow industry can help make archers shoot more accurately. HuntTested: Jeff, I recently upgraded my Matthews Outback to a Matthews Halon 32. This was about a 12-year cycle. I still liked my Outback, but shooting the Halon 32 was a quantum leap forward in speed, forgiveness and overall shoot-ability. I would recommend for most archers, If you want the latest and the greatest, buy it, but at a minimum, you should upgrade your equipment every 10 years.